If you’ve installed Ubuntu 11.10 (or older version such as 11.04 or any other similar linux distributions such as Linux Mint 12) – then during installing process, you created a super user by default, but sometimes you need to create another user with root power i.e you want to create a sudo user, right? Yeah! because it’s not a good idea to use (or enable, because it’s disabled by default) root account for administrative tasks. Creating another user or simply the user management in Ubuntu is not a complex task – as you can easily create/delete/update users from a clean, simple and easy to use graphical interface (Go to Top Right -> Click on Your Name -> Then click on your Icon). That’s it. No, there is another way to do that – from terminal – using some funky terminal commands. 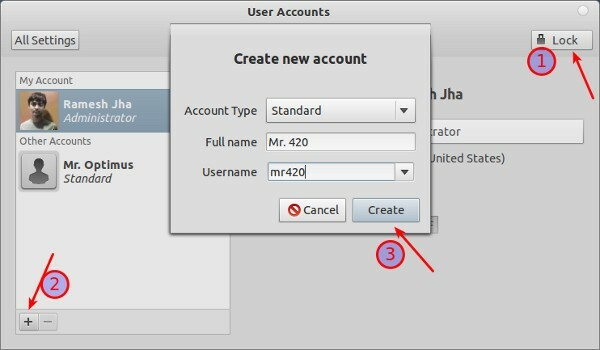 The above snapshot, explains the process of creating a new user account in Ubuntu 11.10 (running Gnome 3 with Gnome Shell Interface, wondering what theme? it’s Zukito; Isn’t it cool :)). Everything seems to be self explanatory. So lets move on to terminal approach which is more funky, powerful and preferred among linux users. 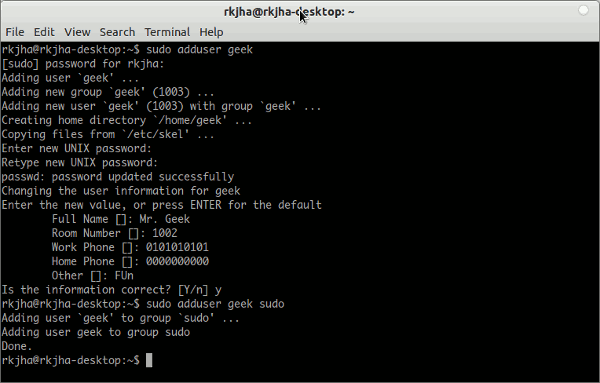 To create a user in Ubuntu, open terminal (Ctrl+Alt+t) and execute the command (replace user_name with the username of your choice etc coolgeek). and add the following line to the bottom of the file (then save the file and exit). I am the original user on this machine, and an “administrator”. I added a new user as “administrator” – so now there are two – yet my user can’t execute the command su from terminal, and also cannot use the software manager – it asks for *my* password! But the new user can sudo all day long, which of course means the new user can sudo apt-get install, too. How to add new user with *FULL* capabilities? ?